Do I Really Need an ALTA Survey? Buying a property, but not sure if you need an ALTA survey as part of the due diligence? Real estate transactions are complex and ALTA/ACSM Land Surveys, more commonly referred to as ALTA surveys, have been developed to identify potential issues that may affect the value or future use of the property. They are frequently required by most lenders, title insurers and attorneys. When an ALTA is not required, it is important to balance the potential risks versus the cost of due diligence. While a survey can be costly, in most cases, the value brought by the survey – in identifying potentially expensive title problems ahead of time and in allowing the lender to obtain extended coverage from the title company – will inevitably outweigh its cost many times over. Finding out about hidden easements or rights-of-way after settlement can be a nightmare. As a result, you may need to delay the project, go back for approvals, lose tenants or worst case scenario – tear down the building. A story was recently shared with me about a building that was developed without an ALTA. Following construction, it was determined that there was a transportation easement through the property. The owner now faces the potential loss of their business. A different use or multiple users are involved. Located in urbanized or growing suburban areas. There is a lack of previous ownership transition and documentation. What information does an ALTA survey provide? An ALTA survey incorporates both a title search and land survey. It is specifically designed to satisfy the needs of lenders, corporations and title companies when dealing with valuable commercial properties. The boundary survey is prepared by a licensed surveyor to a set of minimum standards that have been jointly prepared and adopted by the ALTA/ACSM (American Land Title Association / American Congress of Surveying and Mapping). Additionally, an ALTA survey shows improvements, easements, rights-of-way, and other elements impacting the ownership of land. A current title commitment is required before an ALTA survey can be completed. The surveyor will refer to the title commitment for the land (or legal) description of the property, and for the easements, encumbrances and exceptions to title. Ultimately, an ALTA survey identifies any potential problems that might exist out on the ground or in historical records and helps ensure the integrity of title of the property being purchased. Still have questions? Interested in a proposal for an ALTA survey? 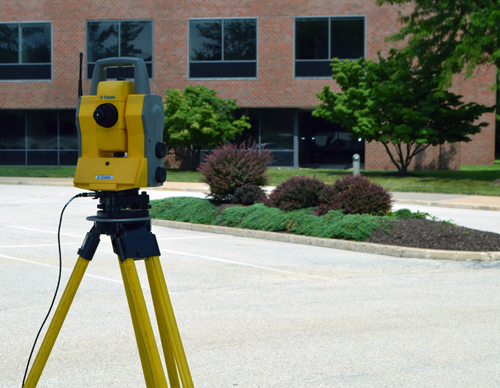 Contact Jim Conlow, PLS, Director of Land Surveying at Nave Newell, Inc.